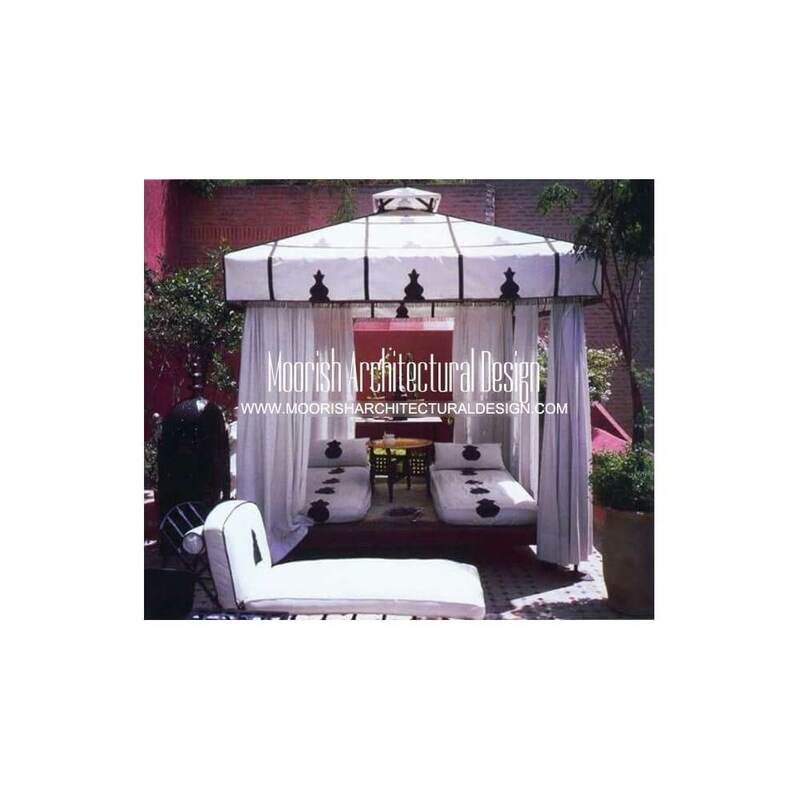 At Moorish Architectural Design's, we have everything you need to find a little relief from the sun at your backyard. 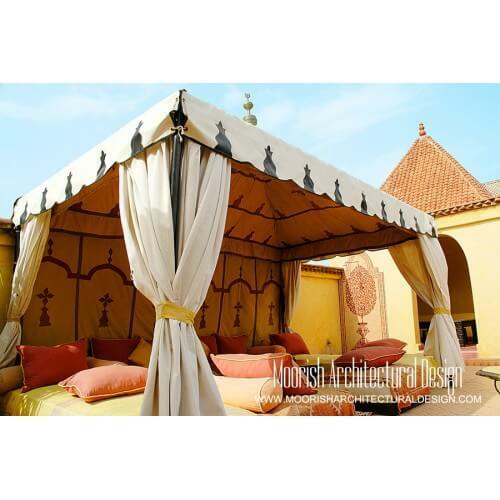 Create an exotic haven in the shade with our selection of traditional Moroccan gazebos, canopies, pergolas. 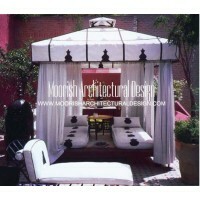 Add comfort to your patio furniture with colourful outdoor umbrellas and accessories. 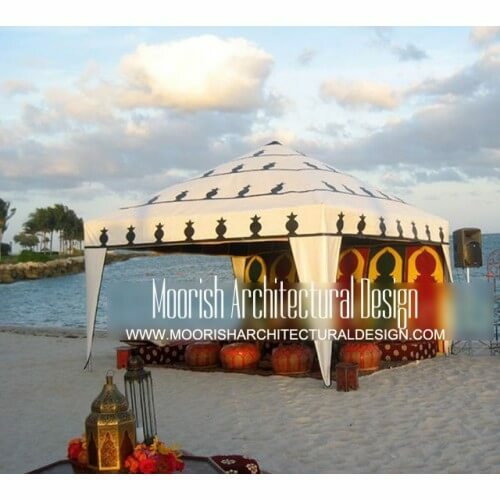 Grilling out during the summer can cook you just as much as your meats; a grill gazebo provides the perfect shelter for any grill master. 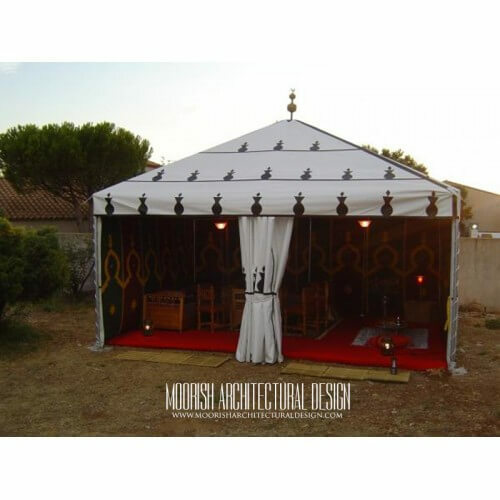 Looking for more lasting shelter? 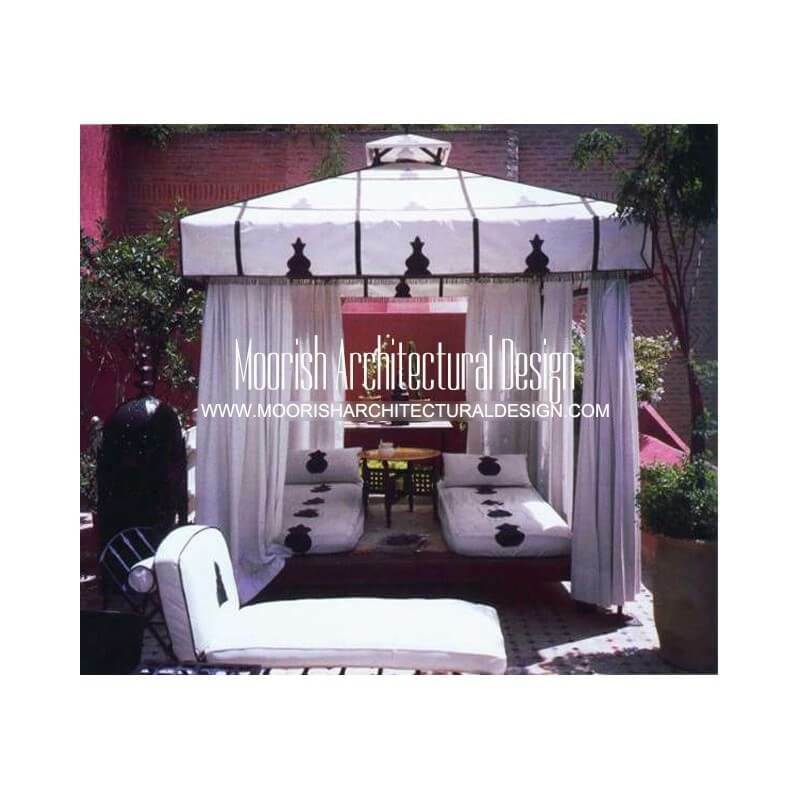 A permanent Moroccan gazebo, trellis structure or patio awning offers a long-term escape from the elements. 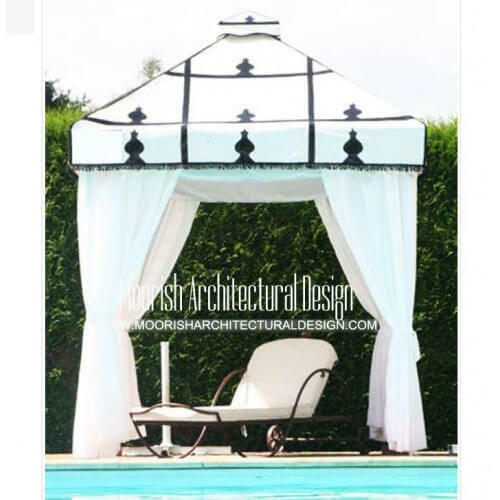 When the temperature rises, don't sweat it! 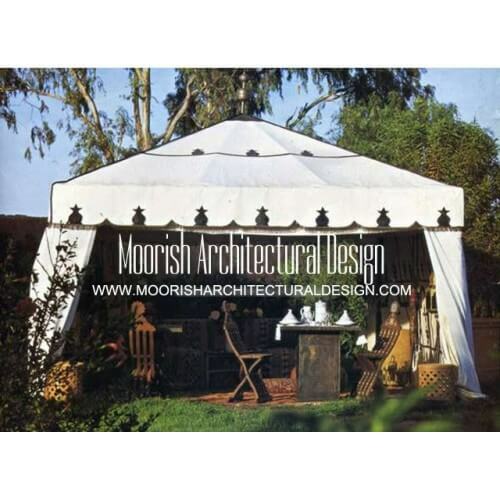 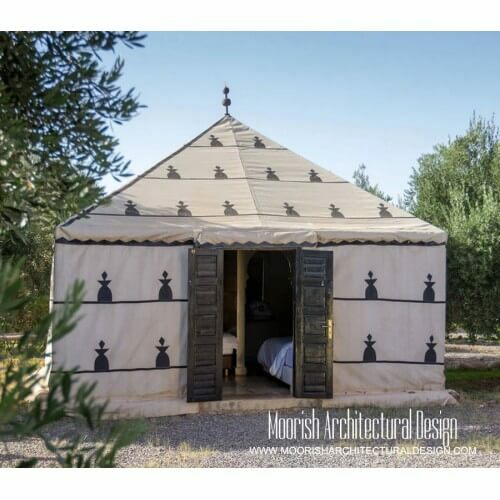 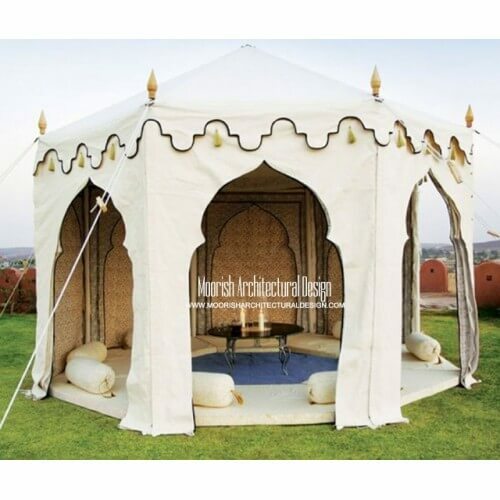 Moorish Architectural Design's has what you need to create a cool, relaxing breeze no matter the size of your outdoor space.